What do you do when you see an obviously homeless teenage mother out in harsh weather? If you're most people, you ignore the mother and the crying infant. If you're socially conscious and a charitable soul like Heidi Wood, you talk to the girl and offer help by bringing the girl back to your home. 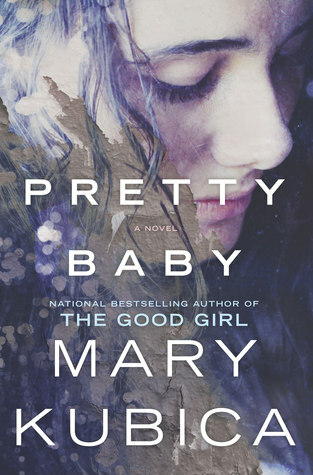 Pretty Baby by Mary Kubica is a fast-paced psychological thriller told in alternating voices of Heidi Wood, her husband Chris, and the teenage mother Willow. The reader gradually learns that Willow has suffered tragedy after tragedy. Her parents die in a car accident when she is eight years old. Her two-year-old sister is adopted and taken out of state. She is initially in a foster home before being sent to live with distant relatives in an ultraconservative and abusive household. Chris is obviously concerned when his wife brings home another "stray," and his primary concern is for the well-being of his family, especially his twelve-year-old daughter Zoe. Chris is quite sure that Willow is lying about her name and wonders what else she is lying about. Heidi simply wants to help in the only way she knows how and that means bringing Willow home with her after learning she refuses to go to a shelter. She's concerned about Willow's welfare, as well as that of Willow's baby and takes everything she learns from Willow at face value. We also learn that Heidi wanted to have a large family, but a cancer diagnosis forces her to terminate her second pregnancy and suffer through a hysterectomy. Ms. Kubica is quite adept at creating a story that twists and turns and leaves the reader wondering where the story will end. We know very early in the book that there is an obvious tragic conclusion to Heidi's action of bringing Willow home, but only learn bit by bit what tragedy has occurred (no, I won't tell you what happens, you need to read the book). Pretty Baby is filled with drama and tension on plenty of levels: Heidi's relationship with Chris, Heidi's relationship with her daughter Zoe, Chris's reaction to Willow and Ruby (Willow's baby), Zoe's reaction to her mom bringing Willow and Ruby into their home, Heidi has baby envy and it becomes quite evident with her behavior toward Ruby, and more. I enjoyed reading Pretty Baby as much as I enjoyed reading The Good Girl. 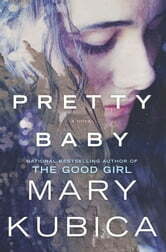 For those of you that enjoy reading thrillers with a surprise ending or are looking for something a little different to read, grab yourself a copy of Pretty Baby.